Women continue to be under-represented in public and professional life particularly in science where the glass ceiling is still a reality. Today only 28% of scientists are women of which only 3% have been awarded Nobel Prizes for Science since the awards began in 1901. Despite this there are many eminent women scientists and raising their profile is vital to promoting greater gender equality in science. 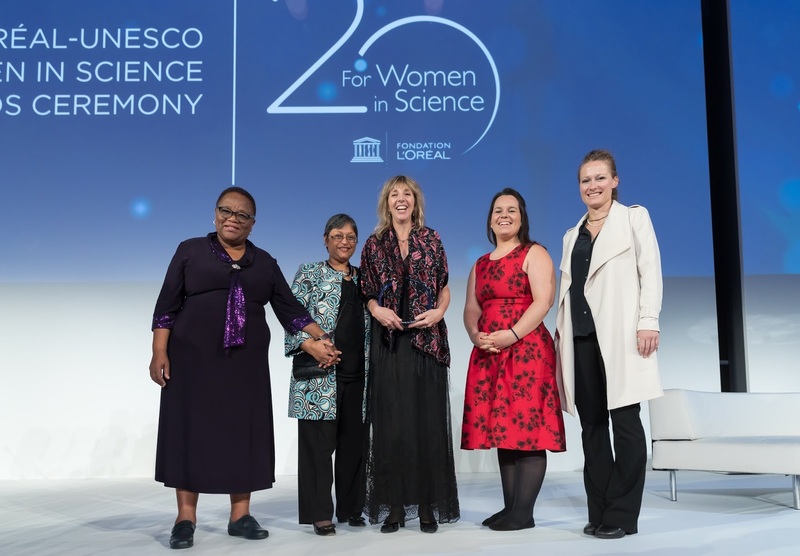 Annually for the past 20 years, the L’Oréal Foundation has recognized five exceptional female scientists and fifteen promising scientists in partnership with UNESCO and taken the initiative to improve the balance of women and men in science. Each laureate will receive a prize of €100,000 and honored for her contribution in the fields of medicine, paleontology, molecular biology, ecology and developmental biology. Professor Heather Zar from the University of Cape Town and Red Cross Children’s Hospital has been honoured for establishing a cutting-edge research program on pneumonia, tuberculosis and asthma, saving the lives of many children worldwide. “In contrast to the aging populations of wealthy, developed countries, in Africa, children make up almost 50% of the population. Too many of them succumb to diseases that could be prevented or treated. Pneumonia affects 36 million children across Africa each year and is fatal in more than 700,000 children globally with nearly 60% of these deaths occurring in Africa” explains Heather Zar. The rate of tuberculosis infection on the continent is among the highest in the world, and asthma affects between 10 and 20% of children. Heather Zar has dedicated her career to improving the diagnosis and treatment of these common causes of childhood illness and mortality in her native South Africa, “I have always felt a strong commitment to work in areas where there is a real need,” she says. In a continent where resources are in short supply, Professor Zar has adopted a pragmatic approach, focusing on the prevention, diagnosis and treatment of diseases with the greatest impact. She has developed simple tests to diagnose tuberculosis and pneumonia in children from spit and nasal swab samples, which have been integrated into global World Health Organization (WHO) guidelines. She demonstrated that preventative use of a common tuberculosis treatment, the antibiotic “isoniazid”, reduced mortality by 50% and tuberculosis incidence by 70% in HIV-infected children who were not undergoing antiretroviral therapy. Heather Zar is committed to reducing health inequalities in the world. Her drive to become a scientist began the day her aunt and uncle brought her into their laboratory; her preoccupation with social justice came from her own parents. “Being a pediatrician and clinician-scientist combines my desire to advance knowledge with my need to improve children’s lives,” she reflects. The L’Oréal Foundation and UNESCO have supported 3,022 talented young female scientists through research fellowships. 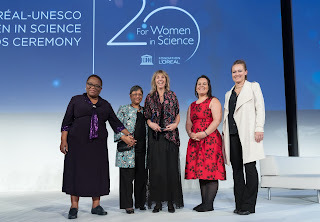 These L’Oréal-UNESCO For Women in Science fellowships are awarded annually at national and regional ceremonies held in 117 countries. 275 young women benefit from national and regional fellowships each year. Out of these 275, the International Rising Talents programme selects the 15 most promising scientists. Danielle Twilley from the University of Pretoria received the International Rising Talent award for research in targeting angiogenesis for the treatment of melanoma. Skin cancer is one of the most common types of cancer in South Africa. Melanoma is the most dangerous type of skin cancer with approximately 86% of melanoma cases attributed to sun exposure. She is seeking to find out whether a compound isolated from a South African plant, which she found in previous research to have significant cytotoxicity (the quality of being toxic to cells) towards melanoma cells, is able to inhibit both angiogenesis and tumor growth. For establishing a cutting-edge research program on pneumonia, tuberculosis and asthma, saving the lives of many children worldwide. For her pioneering work on fossil records leading to insights on how aquatic vertebrates adapted to live on land. and climate change, leading to new ways for crop improvement. For her remarkable contributions to understanding terrestrial ecosystem ecology in natural and human-modified landscapes. For her outstanding research that helped to better understand how tissues and organs are formed in the developing embryo.